Earth Institute at Columbia University, New York, NY, USA. Millennium Promise, New York, NY, USA. 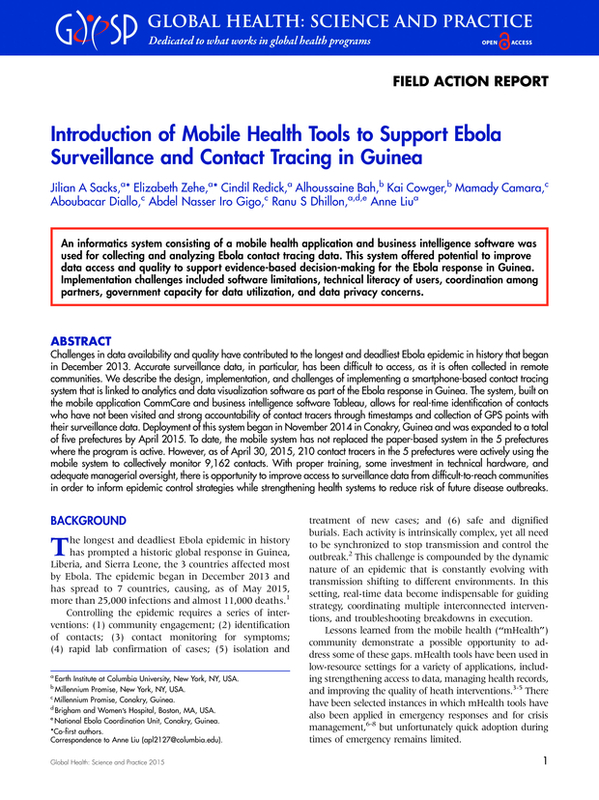 Earth Institute at Columbia University, New York, NY, USA.Brigham and Women’s Hospital, Boston, MA, USA.National Ebola Coordination Unit, Conakry, Guinea.